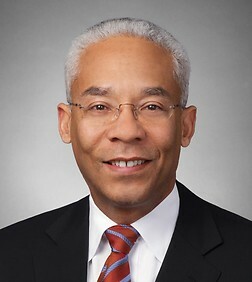 David Douglass is Managing Partner of the firm's 100 lawyer Washington, D.C. office and a partner in its Government Contracts, Investigations & International Trade Practice Group. He defends companies in criminal and civil investigations and litigation. For more than three decades, David has drawn on his criminal and civil trial experience to advise and represent healthcare and life sciences companies, government contractors and other highly regulated business in government investigations, litigation and, of course, trial. David has been lead trial counsel in federal courts, including Washington, D.C., Maryland, Virginia, and New York. He has extensive experience defending companies and individuals in criminal and civil, False Claims Act (whistleblower), investigations and litigation. Highly regulated companies face special challenges when confronted with a government investigation. The regulatory flexibility that characterizes administrative law clashes sharply with the rigid standards of civil and criminal laws, especially fraud laws. A practice that is well-understood and recognized in the regulatory arena can become challenging to recreate and prove in response to a whistleblower action or a grand jury subpoena. David is deeply experienced in developing the evidence companies need to demonstrate their legal compliance, in intent and in fact. David draws upon his experience to partner with his clients to develop and implement cost-effective and practical compliance and risk management programs. When investigations or litigation arise, however, his prosecutorial and trial experience enables him to diagnose the nature of the investigation, triage the immediate needs, and develop a sound litigation plan based on the company's resources, needs and business objectives. David is a Fellow of the American College of Trial Lawyers. The College is composed of the best of the trial bar from the United States and Canada. Fellowship is extended by invitation only and only after careful investigation to those experienced trial lawyers who have mastered the art of advocacy and whose professional careers have been marked by the highest standards of ethical conduct, professionalism, civility and collegiality. Membership in the College cannot exceed one percent of the total lawyer population of any state or province. David also has experience leading complex, high-profile government investigations. In 2013, David was appointed by the United States District Court for the Eastern District of Louisiana as deputy federal monitor over the New Orleans Police Department to guide and monitor the Department's compliance with a Consent Decree obligating the Department to transform its policing practices. In 1994, he served as executive director of the White House Security Review, which resulted in the closing of Pennsylvania Avenue in front of the White House. In 1993 he served as assistant director of the Treasury Department's investigation of the raid on the David Koresh compound in Waco, Texas. David served as DOJ Trial Attorney, the Civil Rights Division, Criminal Section. Prior to that he was an Assistant United States Attorney for the District of Massachusetts. David has taught Advanced Evidence as an adjunct professor at the George Washington University Law School and Trial Advocacy at Harvard Law School. He has written and lectured on government enforcement issues as they affect healthcare providers, pharmaceutical companies and medical device manufacturers. David serves on the Board of the Washington Lawyer's Committee for Civil Rights and Urban Affairs, which deploys the best legal talent to fight discrimination, repair the damage of racial inequity, and break down barriers to opportunity. David also serves on the Advisory Board of the Institute for Inclusion in the Legal Profession, a organization comprised of corporations, law firms and attorneys devoted to driving real progress toward creating a more inclusive legal profession through comprehensive outreach and original programming to replace barriers with bridges between legal, judicial, professional, educational and governmental institutions. He previously served on the board of Appleseed Foundation, a nonprofit network of 17 public interest justice centers in the United States and Mexico dedicated to building a society in which opportunities are genuine, access to the law is universal and equal, and government advances the public interest. Counsel for Boston Scientific in defense of False Claims Act litigation against predecessor company. Successful defense of corporate executive who was a target in investigation of alleged export control violations. Third Annual Mock Trial Hosted in Washington, D.C.